This book offers a pioneering window into the elusive workings of state-corporate crime within the mining industry. It follows a campaign of resistance organised by indigenous activists on the island of Bougainville, who struggled to close a Rio Tinto owned copper mine, and investigates the subsequent state-corporate response, which led to the shocking loss of some 10,000 lives. Drawing on internal records and interviews with senior officials, Kristian Lasslett examines how an articulation of capitalist growth mediated through patrimonial politics, imperial state-power, large-scale mining, and clan-based, rural society, prompted an ostensibly 'responsible' corporate citizen, and liberal state actors, to organise a counterinsurgency campaign punctuated with gross human rights abuses. 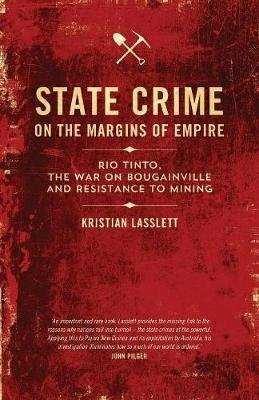 State Crime on the Margins of Empire represents a unique intervention rooted in a classical Marxist tradition that challenges positivist streams of criminological scholarship, in order to illuminate with greater detail the historical forces faced by communities in the global south caught in the increasingly violent dynamics of the extractive industries.